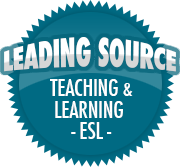 Using too much/too many, (not) enough and very | So, You Think You Can Teach ESL? Being able to express the reason, cause and result of actions is essential in any language. In English we use too, (not) enough, very, too many and too much for this purpose and they can be pretty confusing for learners. The following slideshow clearly explains the difference between them and includes a gap-filling exercise to practice the use of each in real context.